Welcome to the Frosty Valley Events Calendar. 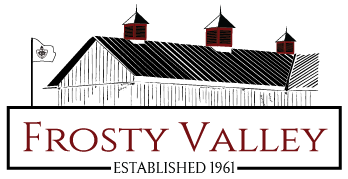 Here you can stay up to date with everything that is happening at Frosty Valley Resort. Must be 21+ to attend. Join us for light appetizers, open bar, dancing and entertainment by Uranko Productions, silent auction items and more! A portion of the proceeds will benefit the Ronald McDonald House of Danville, Inc.! For the silent auction items, we will be accepting cash and credit cards. –Tickets are NOW available for purchase in The Iron Fork Restaurant at Frosty Valley! Stop at the bar in the restaurant to purchase your ticket today! With a donation at check-in to the Ronald McDonald House in Danville, you will be entered for the chance to win Hanna Queen and King of the Prom. Thanks to Hanna 92.3 & 106.1, winners will receive crowns, sashes and a pair of tickets to see 80’s hit maker – John Cafferty and the Beaver Brown Band! Must be present to win.